Hou true is this o the independence referendum, eh? Just when ye think yer wound o auld has healed, some red-top rag or anither will dredge up the pyne o it aw over again, an ye’ll feel it, aw at yince, in a hale new wey. See, a majority o Yes Voters are different people nou than they were back then. Aulder. Wiser. An if we had oor time again, ah jalouse maist o us wad dae it a wee bit differently. No that ye’d ken frae the wey we’re makkit oot tae be. It seems ilka news ootlet has got an opinion on whit Yes Voters are thinkin nouadays. Whit we’re plottin. Hou we’re feelin. In a climate whaur radge speculation aboot the mind o a Yes voter is a staple diet o the media, houaniver, there’s wan thing we can aw agree on. Hou we felt when we foond oot Scotland had votit Naw. It wis like the hert hid drapt oot o us aw, yin bi yin, a dreidfu wrench o grief in the pit o oor bellies that left us depleted o aw joy – for a whilie, onygates. Whaur were ye, when ye heard the news? It’s a haird questions to answer, is it no? It’s a question that’s been speired amang ma circle o freends a hunnert times, an answered a hunnert weys anaw. Ye willnae get telt whaur a person wis when they fund oot, wioot bein telt whit they felt, whit they did, whit they became, acause o whit had happened. It’s a Russian doll o a question, an it’s yin that e’en nou, is difficult tae answer wioot emotion – whether ye votit Aye or Naw. Ah votit Aye, an for me, findin oot the result meant hidin unner a quilt, greetin, in the wee sma oors. We’d a YES saltire hingin ootside the windae that nicht. Ah heard a howl gaun oot in the dark street ootside oor hoose. Couldnae tell if it wis o joy or pyne. Luiked oot tae see. Saw the flag insteid. An burst oot greetin aw o’er again. Ah tried tae bring the flag back in. It flauchtered doon insteid, sailin like priceless silk loosed intae the mirkenin dark. Ah felt bereft. Ma husband ran oot tae fetch the flag in his smaw clathes. It wis ower much for me. We still hae it in the press. The badges anaw. Ah bumped intae yin o ma freends in a hospital waitin room the ither day an had nae choice but tae speak tae her. Forced tae choose atween pretendin we didnae ken each ither, an givin in tae social niceties, we hid a wee blether aboot the referendum, which had been the last time we’d spoken at aw. She’d votit Naw, an we’d lost touch efter an awkward message exchange on Facebook aboot hou she wis votin. Sad but true. Like awbody, ah’d a hale wide rainbow o emotions durin the indyref. Emotions sae pure, sae intense, sae wired in tae ma nervous system, that ilka day in the run up tae the vote wis loadit wi chaunces tae be ragin, tae be elatit, tae be sad, tae be howpfu. It wis tirin, it wis empouerin, it wis mair genuine than awthin ah’d iver felt afore, an wi aw the emotions, wi aw the haird work, came a surefire conviction that ah MUST be richt, an that onybody that disagreed wi me MUST be wrang. She wis yin o the yins that had been wrang, and when we votit Naw, an she sent me an awmaist apologetic email tellin me it wis for the best, ah didnae hiv the stomach tae repone tae her. Ah’d a complete inability tae see things frae the ither side, back then. Ah wis richt, ye see. History wis on ma side. Anyone who thocht itherwise seemed awmaist an alien tae me. Ah had the moral hie-groond, an ah wis sharin it wi ma pals. Ah kent ah wis richt, an that was that. The thing ah didnae realise at the time, is that the No voters felt exactly the same wey as me. They were people whase feelins an howps an lives were as valid as ma ain. Yet aw ah saw wis difference. Ah didnae unnerstaun hou dangerous that thinkin can be, an tae be honest, ah didnae care – because we were gonnae WIN. Ah wis RICHT. Ma ootrage telt me sae. It wis the maist richt ah’d felt aboot ONYTHIN in ma puff. An that feelin gied credence tae a host o ithers, guid an bad. Pride at ma haird wark. Freendship wi ma fellae Yessers. An an unholy kind o fury, when ah saw something that ah didnae like. Ah didnae ken the meanin o the wird ‘RAGE’ until the referendum. The pure, unadulterated anger ah felt when ah first saw the “Eat yer cereal” advert wis a sicht tae behaud. Ah couldnae sit still in ma seat when it cam on. The snickerin actress, tryin tae mak oot that her weans’s lives were bein put on the line bi the likes o wasters sic as masel an her puir wee hubby. It wis cynical, it wis patronisin, it wis sexist an dismissive. An ah couldnae unnerstaun hou ma No Votin pal couldnae see throu it. The meenit yon puir unnerpeyed actress rolled her een has been emblazoned on ma mind as yin o the angriest moments o ma life, richt efter the time ma dear auld Da ramshed aw ma gluten free breid for nae reason when it tastit bowfin onywey an there wis a crusty loaf richt in front o him. Nut… EVEN WORSE! Ah couldnae settle masel until ah’d had a guid rant, got it oot ma system. Ah’ve seen that kind o rage in ithers, anaw. Ah mind a frail auld lady comin up tae me at the polling station, shakkin wi emotion an askin me hou ah slept at nicht. Ah kent her rage wis real, awricht, but it didnae seem as valid as mine. An so, ah weened, she wis fashin hersel ower nocht. Ah ignored the fear ah’d seen in her. Pit it doun tae her age. Ah felt pyne durin the referendum anaw. Readin “The Vow” wis a muckle doolander tae the gut, for example. The pyne wis a real hing. As ah read the words, incredulous at the size o the lies on the page, a dart o pyne shot me straicht in the solar plexus, its poison spreidin oot its evil hauns until ma hale body wis a shakkin, quiverin hing ayont aw control. Hou could onythin that made me feel sae horrible, that felt like evil itsel tae me, be swallaed an acceptit bi ONYBODY? Well, it turns oot it could, and bi weel-trickit fowk as guid as masel. In fact, ma Naw-votin freend said she felt the same kind o physical pyne when she read aboot the bleak futur o her kintrae in the Daily Record. She believed The Vow. It made her feel things micht no be sae bad for Scotland efter aw. It gied her howp. 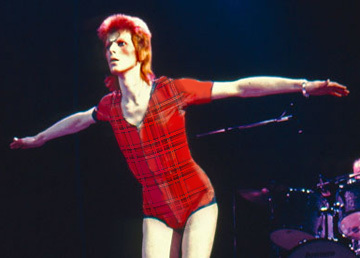 Wis it just me who felt physically sick when ah saw David Bowie askin Scotland tae ‘stay’ as if he wis a character on Coronation Street, beggin his lassie no tae lea him? Ah luved David Bowie. An ah felt betrayed bi him. It crumpled me up inside. As it turnt oot, ah wisnae alane in ma ability tae be seekent bi the words o a pouerfu person. Ma freend said she felt equally seek when she listened tae Nicola Sturgeon talkin on the telly. No acause she was a hateful sham o a human bein (she wisnae, as it turnt oot), but acause she wis shuir oor (then) Deputy First Meenister wis aw aboot wreckin her future. She. Wis. SHUIR. An her feelins were her ain. They wreaked havoc wi her heid. Kept her up at nicht. When she heard we’d votit naw, she wis relieved. Aw her fears meltit awa. An her anxiety at the thocht o gaun throu aw that again is risin up, e’en nou, whan she reads the papers. It disnae chynge ma desire for a second referendum, kennin this. But ah’m awaur o it. An this time, ah’m gonnae mind where ah gan. Think afore ah speak. Remember that we’re no sae different – baith, mair or less, pouerless. It hurts ower much tae care aboot a hing ye cannae control, does it no? Especially when that hing is tae dae wi yer futur. It pynes ye in intricate ribbons. An it energises ye tae dae somehin aboot yon hurt – whether it’s canvassin, or spraffin tae ither fowk, or puttin up stickers, nae matter if they say Aye or Naw. Aye or Naw? The maist divisive question ye can ask o a nation, is it no? If there’s yin word ah could staun never tae hear again, it’d be the word “divisive”. Durin the referendum, it wis hauled oot as aft as a straw-stuffed guy at Halloween, an wis uised tae conjure up images o Bisto faimilies aw ower Scotland haein muckle food fechts insteid o eatin their cereal, clawin at each ither’s thrapples wi despair at the mention o currency. But, in hindsicht, ah dinnae think the referendum wis divisive at aw. Ilka person that bothert tae haul thersels oot the hoose, pit a cross on a slip an stick it in a box wis sayin, wi ane voice: “Ah want whit’s best fae Scotland”. Ah couldnae see that then, but ah see it nou. We wir aw in it for the same reason. An we wir aw equally convinced we were richt. O coorse, ah still think ah’m richt. Ah think the case for independence nou is as strang as ever. Ah believe time has pruiven whit lies wir telt tae voters. An when the First Meenister annoonces a second referendum, ah ken whit ah’ll be up for again. Rage an howp, joy an pyne, feelins as raw an pouerfu as they ever wir. But it willnae be the same. No quite. As ah said afore, we’re aulder nou, we’re wiser. Lessons hae been learned in their hunners bi us. An we’re no as predictable as the papers micht say. Ah’ve re-added ma No voting pal on Facebook, for stairters, but the biggest lesson ah’ll take awa frae the referendum is never again tae see a Naw voter as bein sae different frae masel. Never tae believe ma feelins are mair valid than theirs. And never tae ask a person hou they’re ettlin tae vote. Ah hink the question we need tae be askin o yin anither in the run up to Indyref 2 isnae “Whit wey are ye gonnae vote”, but “Whit for?”. An the answer we’ll maist likely get will be: “Ah want whit’s best for Scotland”. If that’s no common grund, ah dinnae ken whit is. Hou we tak it frae there is up tae us, but ah’m no gonnae let ma feelins tak the lead on this ony mair. No wi the clock tickin the wey it is for Scotland. Tae quote Phillip Larkin again, whit ah’ve learned frae the stories ah’ve been telt from baith sides, is that in seekin independence for Scotland, we should be carefu of each ither. We should be kind. While there’s still time. Using the term “baith sides” here *is* divisive. I wonder what cumulative effect there would be if there was a strong tendency to write a “my feelings” article in Scots while more analytical articles were written in English? You’re opening up old wounds here , my memories of canvassing in South West of Scotland and engaging / meeting the NAW ‘s is one where there was in many cases a total ignorance of the issues and an complete unwillingness to either read or listen to the arguments made by anyone other than the BBC and other Unionist Media outlets. Their own future and that of their country was at stake and they couldn’t take the time to listen. Many were rude and offensive. Had they listened done their research I would have accepted and appreciated that their NO decision was at least knowledge based. ” I Don’t like Salmond” was the basis and justification for many to abdicate any responsibility and to vote NAW. Setting aside the sectarian types ,to this day I remain ashamed of those who voted NAW without taking any time to truly consider the opportunities choosing to believe the lies and fear tactics employed by the British Govt and it’s Media outlets . Many showing no desire or aspiration to learn how Scotland could realise it’s true potential and become a better place for it’s future citizens. I truly hope that my experiences are not repeated next time. Dearie, dearie me……the analogy i think is apt is when people are hounding a person to stop smoking. The more you go on the less likely they will stop. In fact, they will smoke a lot more to relieve their anxiety. So calm down and allow people to breathe and make their own choice. Change comes from within and not in berating people that they are stupid and ignorant. I think if I had met you canvassing in 2014 I probably would have voted No and I have been an ardent yesser for 20years. So, look in the mirror and reflect on your behaviour in how you relate to people. Scran: what? You’d have voted NO after 20 years as a Yes supporter because you would have felt harangued? I recall no haranguing during the referendum campaign, but I do recall a great deal of vicious lies and attempts as smearing pro-independence people. I think what Mr Allan is saying is that he tried to ‘persuade’ and was given an earful for his attempts. We were all warned by our SNP branches that being nice and polite to NOs was mandatory, and I never once heard any independence supporter being rude or nasty. What has happened is that we can no longer tell the truth about that campaign, and the result. The pro-independence people of Quebec found much the same problems but they, like us, were only too willing to have a second go, and they actually believed they had done the right things and had persuaded many of those former NOs to vote YES the second time round. Well, didn’t they receive a shock – an absolute sickening kick in the whatsits – when the result was read out. Yes, those NOs had done it again. I would never predict the same result here in any second indyref, but it should make us wary. The Quebecois did exactly as you are saying: they went out and campaigned decently and respectfully. Just a shame that the NOs didn’t. In our shared humanity, there is, indeed, no difference between YES and NO, yet there is still a gulf. I think that older voters, especially female ones, and other females, had a tendency to vote NO through fear of being left behind in the financial sense. I can understand that, being both female and a WASPI woman; I know exactly how it feels to be left high and dry with no income source, and the fear that accompanies that position. However, I found that the majority against independence, while financial considerations were very important, had a very powerful understanding that the status quo should not be disrupted, and this was even more prevalent. The overarching sense was of people who were angry at those who were disturbing their complacent and moral ‘right’ to have what they considered theirs, and that others who did not feel like this should just shut up and go away. It was, and remains, an incredibly colonial attitude to those Scots and others who did want independence. It seemed, after, rather than during, the referendum, that those who wanted independence were regarded as no more than troublemakers and malcontents who did not realize what they had in the Union; and, like a swatted fly, they should jolly well crawl away and die, preferably out of sight. Since I, in common with so many independence supporters, felt nothing like that in relation to NOs, I still find all this ‘turning the other cheek’ a bit rich. As you say, Mr Allan, cruel and offensive remarks by NO supporters, and deep, deep ignorance and arrogance, too, were abundant during the referendum campaign, but they were as nothing in comparison to the hostility and downright malevolence that colours so much of the anti-independence and anti-SNP rhetoric since 2014. There has been no real attempt by NO supporters anywhere to try and win us over; it has all been about nastiness and accusations; and a sense of complacency and entitlement that appears to know no bounds. Even much of the love-bombing during the campaign was by people who have interests in Scotland and wish to keep them in Scotland, so self-interest became paramount. No one won independence by being cuddly towards those who were trying to prevent it. By all means, let us not hold grudges after independence and let us welcome all who wish to live in Scotland, but, till then, the entire NO fraternity/sorority across the spectrum could become our Nemesis, and we should acknowledge that and stand up to it. They do not have the monopoly on how a future Scotland should be, and they damn well ought to be told that in no uncertain terms. I’ve had a long time to reflect on the work done by canvassers and their impact . As a local Yes Ambassador I enjoyed many fruitful and inspiring conversations with many who had a genuine interest in learning more about the potential gains of a YES vote. It was an opportunity to answer concerns with facts and providing Yes Scotland info to enhance understanding. There is no point ignoring the fact that many others were far from receptive , on those occasions as with all canvassers I worked with. A polite exit was always made. Had a Better Together canvasser visited me (sadly never happened) I would never have reacted to them in the manner that some NAWS responded to YES canvassers. On the negative occasions a note would be made not to return! To Scran ——- a yessir for 20 years I’ve been at the coal face a lot longer than you,! You misinterpret my comment completely – you’re forgiven.